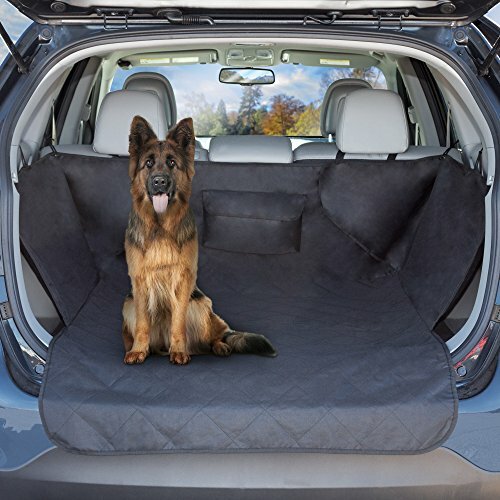 Take your pup for a ride and keep your cargo area clean and protected from your dog’s muddy paws, stubborn fur, and stains with the Cargo Liner, Pet Travel Cover for SUVs by PETMAKER. 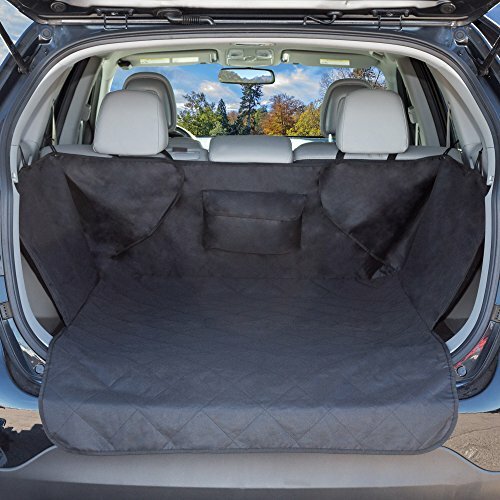 This waterproof cargo barrier provides a universal fit for most standard size SUVs- simply install with the backseat up using the secure straps and window suction cups. 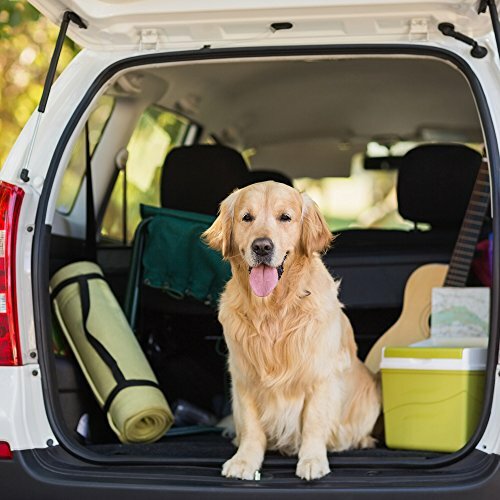 With the additional side flaps, this durable non-slip liner equips your car with a layer of protection- allowing you more time with your furry friend, and less time vacuuming out the trunk! IMPORTANT: Avoid buying counterfeit products and transacting with unauthorized sellers. Look for our logo on the packaging for every one of our products. 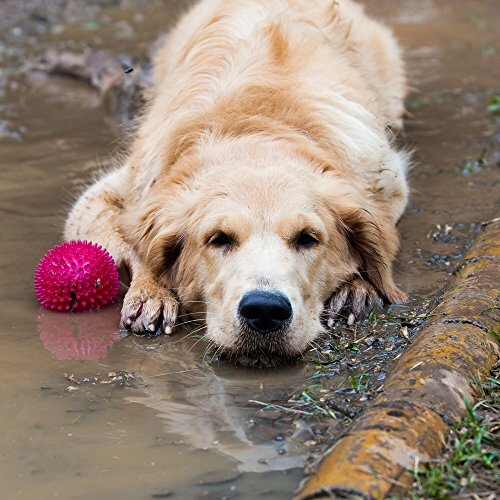 PETMAKER is committed to providing the consumer with the absolute best price and value on all of our products, which we ensure by applying a rigorous Quality Control process. 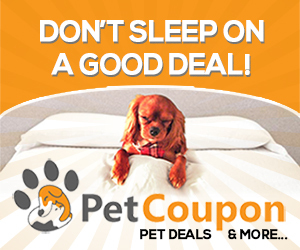 PETMAKER is a registered trademark protected by U.S. 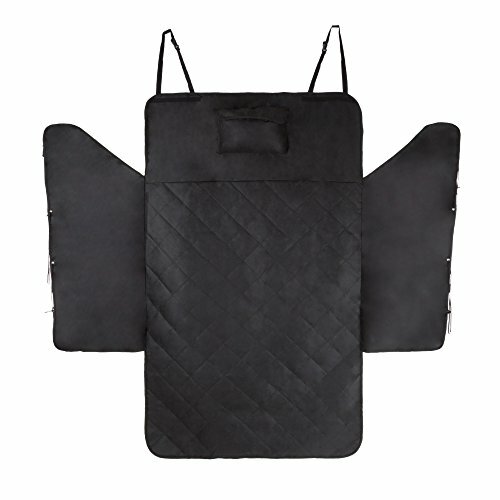 Trademark law and will be vigorously defended.DURABLE MATERIAL- This all-weather protection liner uses a long-lasting polyester material, providing a high-quality barrier from scratches, dirt, and dog hair. The color fast material is designed to fit most interiors and resist fade and wash out. 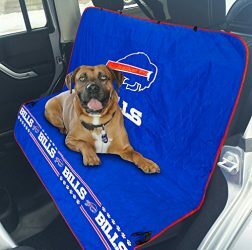 This sturdy cargo liner is also quilted for extra comfort, making it perfect for pets that love to cuddle up during a car ride! 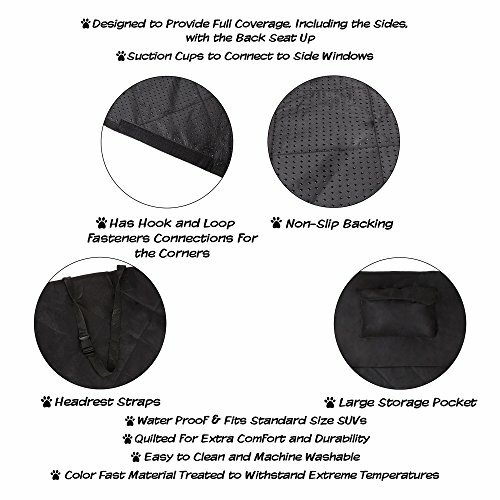 EASY AND SECURE INSTALLATION- The added accessories of this cargo cover include backseat head rest straps, reverse hook and loop fasteners, and non-slip backing- keeping the cargo protector held firmly in place for a complete shield in your trunk. 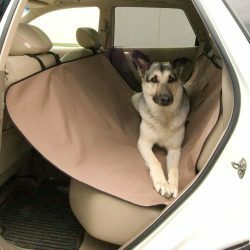 The provided bumper flap cover easily rolls out for additional coverage, protecting your car from spills, mud, and pet accidents! 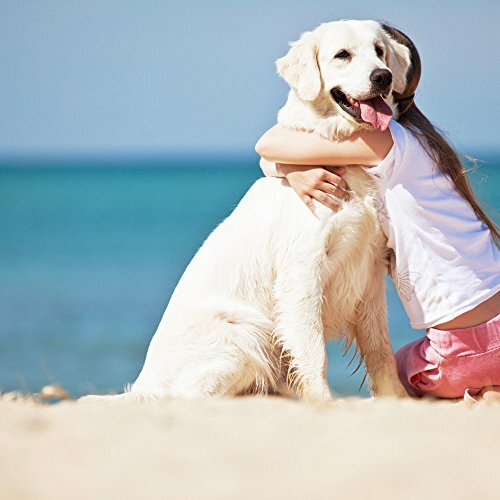 QUALITY PROTECTION- This cargo area cover features waterproof technology, making it perfect for all weather conditions including snow, rain, or a sunny day at the beach with your pup! 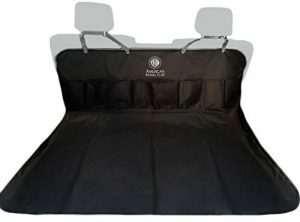 In addition, this non-slip cargo mat protector provides added storage convenience and effortless travel capability, easily unfolding to fit most standard size SUVs. 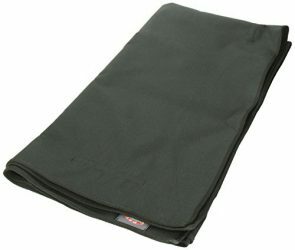 PRODUCT DETAILS- This non- slip cargo area cover fits standard size SUVs with its overall dimensions: 51″ (W) x 80″ (L). 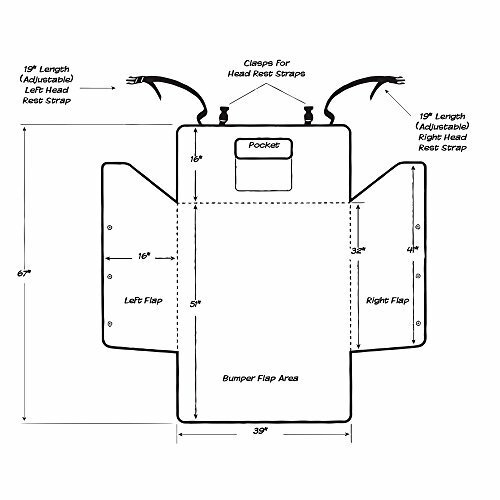 Bumper flap: 51″ (W) x 19″ (L). Color: Black. Material: 100% Polyester. To clean: machine wash on cold, gentle cycle, and air dry or wipe with a damp cloth, or vacuum.